We have a thriving and expanding club and are always interested in recruiting new members, who can be assured of a warm welcome. The club enters a number of teams in men’s, ladies and mixed leagues and organises friendly matches during the season. A wide range of club competitions provide an opportunity for all members, regardless of ability, to play competitive bowls. In addition to this, and in conjunction with Penzance Bowling Club, for more than 50 years we have co-hosted the annual Mounts Bay Open Tournament for men’s singles and pairs. In 2018 a ladies triples competition was added to this tournament. You can download entry forms on the "Links" page. We also have a lively short mat bowls section with teams competing in the CCSMBA Western Division afternoon and evening leagues during the winter. There is an open club night once a week. Use the “Short Mat” link in the menu for more details. 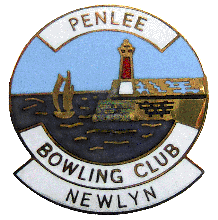 Follow the "Penlee Blog & Facebook" link in the menu to get the latest news and see what's going on at the club.